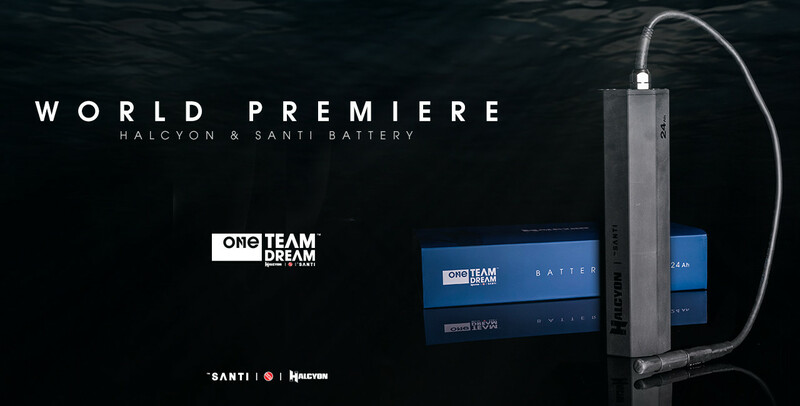 Halcyon | SANTI battery pack is manufactured with hi-tech rechargeable Li-Ion cells which offer high discharge current. As result, it may be used to supply power to equipment items which require 200W in total. Designed to supply power to SANTI heated apparel (undersuit, vest, gloves). May be also used with Halcyon Primary Diving Lights.